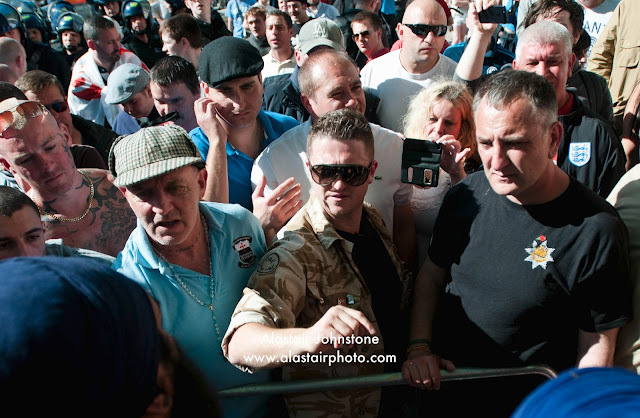 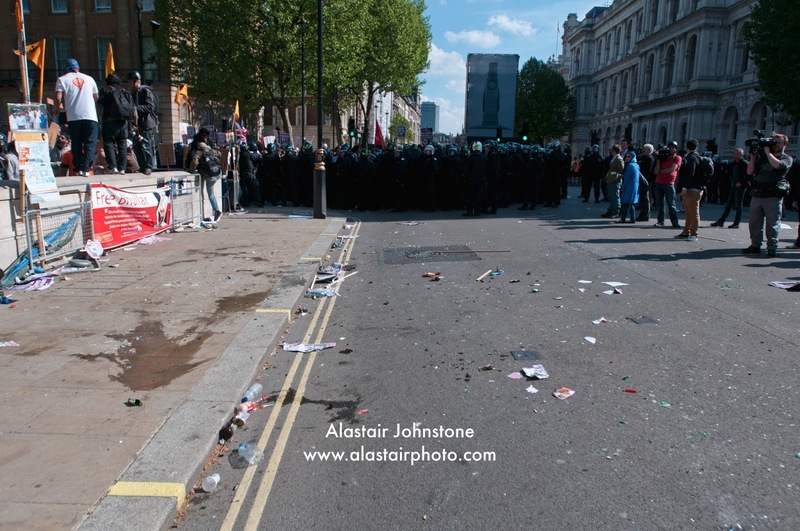 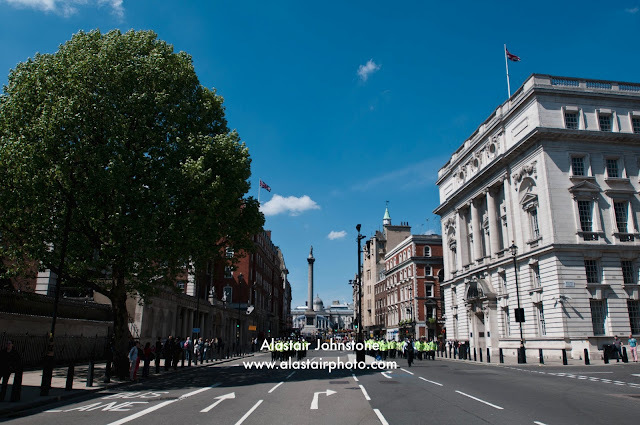 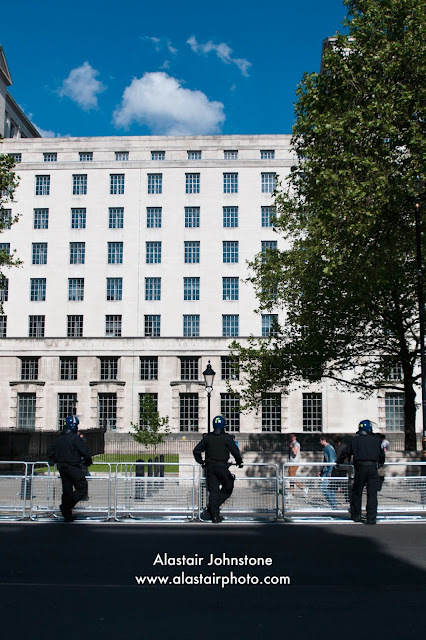 blog.alastairphoto.com: English Defence League (EDL) and counter demonstration on Whitehall. English Defence League (EDL) and counter demonstration on Whitehall. 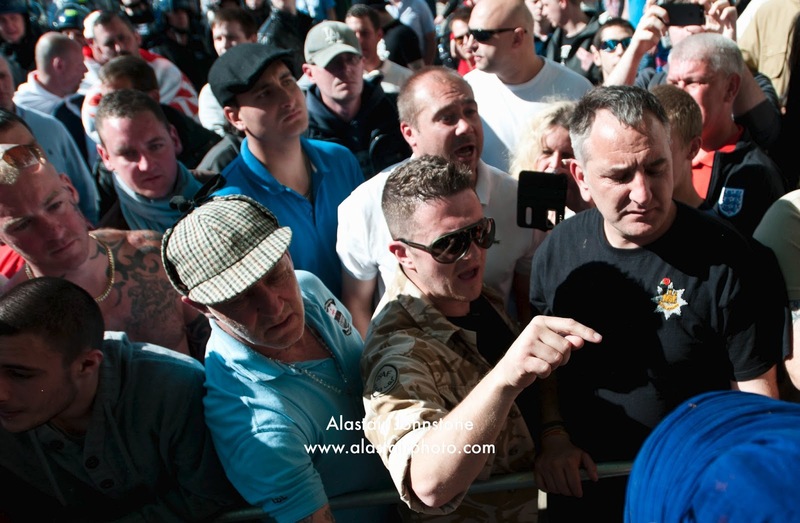 Far right organisation the English Defence League (EDL) and anti-facist counter demonstration on Whitehall outside Downing Street, London, 27/05/13.